SUNS OUT, GUNS OUT! Interested in CrossFit? 4leafcrossfit@gmail.com Interested in nutrition coaching or an InBody scan? Cook2fitchicks@gmail.com Interested in getting the family involved? We have Kids Club daycare coverage (no age requirement) AND we offer Clover Kids classes for ages 5 and up! We hope to see you all in the box soon! Join Coach @ericpertee & Coach @fitwithfitzy to chat goals for 2️⃣0️⃣1️⃣9️⃣. Seminar starts at 7pm. Can’t make it tonight? Have no fear, Saturday at 10:30am is option two! Happy New Year Athletes...Kick start your 2019 with health & fitness! Interested in CrossFit? We are offering 50% of your first month! 4leafcrossfit@gmail.com Interested in nutrition guidance? Our Cook2Fit program kicks off Jan. 7th with InBody scans the first of the month! Cook2fitchicks@gmail.com Interested in getting the family involved? We have Kids Club daycare coverage (no age requirement) AND we offer Clover Kids classes for ages 5 and up. We hope to see you all in the box soon! We have a lot happening this month! Please join us for some fit fun! Interested in taking the step to try CrossFit or our Cook2Fit nutrition program? Contact us at: CF: Fourleafcrossfit@gmail.com Cook2Fit: Cook2fitchicks@gmail.com In town for the holidays and want to drop in? Cost is $20/day or $60/week. Feel free to just show up to our scheduled class times and see a coach. #transformationtuesday Fitness & nutrition go hand in hand! We are beyond proud of our Cook2Fit member for achieving such amazing results in just days of changing her food. Can't wait to see what happens 12 weeks from now! 🎉 Know your numbers and get to logging! You're chasing numbers in the box...but are you chasing numbers for your health? Our Cook2Fit team is here to help you. Reserve a spot for an @inbodyusa scan. Set a benchmark and #knowyournumbers! Summer is over and the kids are back to school...which means you need to get yourself back in your routine of getting to the gym! Thought about joining us? Please do! First class is FREE. Come jive with us this July! Plenty of fit fun for the whole family here at Four Leaf CrossFit. Check us out for a FREE trial class. Come spend your sweet summer sweating it out with us! SO MUCH FUN ON DECK! Make April AWESOME. Join our Fit Family and take your health and fitness to new heights. ATTENTION ATHLETES Effective April 2nd our schedule will change. Also, please note that Sunday, April 1st we are closed for Easter. This offer is as good as GOLD! We have 1 month Unlimited Crossfit memberships for 3 lucky individuals. What a great opportunity to get your spouse, neighbor, or bestie in the box with you! Use the link below to purchase: https://fourleafcrossfit.pushpress.com/open/event/475783caa6bdbf52af5844403e4dfef0 Act fast- there are only 3 at the end of the rainbow! Check us out for some fit fun this month! We will be starting our new CrossFit 101 class tomorrow! This class is free for anyone looking to give CrossFit a try in a beginner level, non-intimidating and safe environment. New CF14 members and any current members who have fallen off the wagon and are looking to get back in the gym are also welcome to join this class. No need to pre-register, just show up! CrossFit 101 will be held every Monday and Wednesday at 9am and 6:30pm and Saturdays at 8:30am. Who's going to take home a 16.1 victory Friday night???? #teamyellow @fitzyfresh @mesac1986 #teampink @fnkytank @sgavin10 #teamorange @jonathan750 @erickacline #teamgreen @alangston14 @evansanchez718 #crossfit14 #intheopen #fridaynightlights Friday Night Lights starts this Friday at 6:30pm!! Big shoutout to Chris and Danna Thurow reppin CrossFit 14 at the CrossFit Games this weekend in Carson, CA! Have fun you two! Good luck to our CrossFit 14 Weightlifters: Stacy, Mesac, Bailey, and Caroline, who will be competing at the USAW Sanctioned Tampa Bay Area Classic tomorrow at CrossFit 813. For those of you who would like to come cheer them on, here is the lift schedule: Stacy: 9:00am Bailey: 1:00pm Caroline: 1:00pm Mesac: 3:15pm Location: 1701 W. Gray St. Tampa, FL 33606 Thank you to Patrick Costello of Keep Pulling for organizing this event! Good luck to all our athletes! CrossFit 14 May 2015 Class Schedule...we're looking forward to hosting our 4th Annual Memorial Day Murph Event this month! 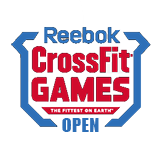 The Reebok CrossFit Games Open Season is approaching! Here’s how it works: The first 2015 Open WOD announcement will be on Thursday, February 26 at 8pm and you have until the following Monday night at 8pm to perform the workout (with a judge) and submit your score online. One workout will be announced each week for 5 weeks and a total of 5 workouts. Once you submit your scores online we validate them and they are entered into the worldwide leaderboard. You can then compare your scores to other CrossFitters all over the world as well as your fellow CF14 Athletes. If you are unable to attend the Friday Night Lights days and times there will be additional WOD times available for you to complete the workout with a judge. This 2015 Reebok CrossFit Games Open is open to all levels and we encourage everyone to signup! Only 6 days until the CrossFit 14 Zombies arrive…are you ready? ?